TunnelBear (also known as the TunnelBear VPN), founded in 2011, is a Canada based VPN service provider developed by TunnelBear Inc. Amazingly its service is used by more than 13 million people across 179 countries who worry less about browsing on public WiFi, online tracking or blocked websites. I have reviewed various VPN service providers in this website, but very few of them stand out like TunnelBear in terms of simplicity, good performance and usability at the same time. 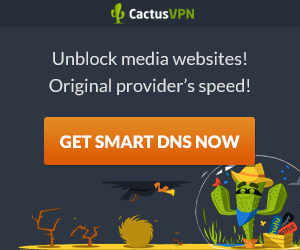 This has to be really the outstanding good VPN service that focuses on giving users the sense of comfort and peace of mind that they need when surfing online. If you are looking for a very user-friendly, easy-to-use and at the same time a secure VPN provider that is designed to cover various necessary fronts to help you browse the web anonymously and to protect you from snoopers, to help you bypass internet censorship or access region-locked and blocked content online by hiding your IP & location and browsing activities from data thieves, governments and advertisers, then Tunnelbear is a solid option that you can choose. This is a simple No logging VPN provider that securely tunnels your internet connection to locations around the world while allowing you to access the Internet with military grade encrypted privacy being connected with their world class private servers from all over the world. In this TunnelBear review I’ll introduce you first with the pricing plan of this best secure VPN service provider so that you can choose one plan that best suits your desire of using VPN service. TunnelBear currently has 3 following pricing plans for the visitors of this website: Starter Plan (Free), 1 Month Plan and 1 Year Plan. TunnelBear accepts these following payment methods for its users to pay for VPN service : Visa/Master Card, PayPal, American Express, Bitcoin. You can buy VPN plan anonymously with Bitcoin while using only your email address. WIth Tunnelbear VPN network, you can tunnel to any of their server locations (the countries chosen in the app) from just about anywhere in the world, as long as you are connected to a network. TunnelBear offers a handful number of choice in its server locations. Currently they have self-managed servers spread out across 20 countries. Their servers are located in following countries: United Kingdom, United States, Canada, Germany, Japan, Ireland, Spain, France, Italy, Netherlands, Sweden, Switzerland, Australia, Singapore, Brazil, Hong Kong, Denmark, Norway, Mexico, India. If you use the Internet on variety of devices – like desktop, laptop or mobile etc – you need such a secure VPN that is fully compatible with those devices and operating systems installed, and also capable of protecting your internet privacy and security to the possible extent. Tunnelbear has easy-to-use apps for major operating systems Windows (Desktop and Laptop), Android, Mac and iOS. It is also compatible with Linux. They have also setup guides for all of them so that anyone can set up their software and get online in moments. Their apps are fast, easy-to-use and stable with time-saving features like one-click connect and one-tap server selection. Note that currently you cannot use TunnelBear on your Kindle/eReader, Windows mobile devices, Apple/Android TV, gaming systems, or by manually configuring your modem/router. Windows Vista and later or XP is no longer supported with Tunnelbear. Finally, TunnelBear offers two extensions for your Chrome (including Chrome OS) or Opera browsers. TunnelBear uses the latest and greatest secure VPN technologies. Their Windows, Mac OS X and Android applications use OpenVPN and iOS app uses IPSec/IKEv2 by default. TunnelBear allows up to 5 simultaneous connections per account, which makes them perfect for those who face need of that facility. It will really seem great for people with families that need to protect more than one online connection or even just people that use a couple mobile devices in addition to their home computer. In this TunnelBear review, I’ll depict an overview of the security and privacy level of TunnelBear’s client software in detail. TunnelBear’s powerful VPN software is built to establish a highly secured and military grade encrypted VPN connection between your computer and their VPN tunnel. For ensuring utmost privacy and security in any situation, TunnelBear offers two different VPN protocols on their network: OpenVPN protocol for Windows, Mac OS X or Android users and IPSec/IKEv2 protocol for iOS users as IPSec/IKEv2 works best on iOS devices. I performed multiple tests at different IP-tracker websites to see with my own eyes about how much capable TunnelBear is of hiding my real IP assigned to my local ISP. I am highly impressed that I found all the results of my tests supremely OK. I, for example, only show below here the image of the result got at renowned IP tracker website whatismyipaddress.com . The image shows that their client software works perfectly in hiding my real IP address assigned to my local ISP, as my IP is not visible. You can only see an Hong Kong IP Address 27.0.232.182 perfectly altered by TunnelBear. TunnelBear manages data authentication and handshake encryption technology to increase data security and privacy. Any information that is sent or received from your computer must be authenticated before it can be decrypted. Data authentication is used to ensure you are who you are and prevent things like a Man in the Middle Attack. And An encryption handshake prevents you from unwittingly connecting to an attacker who is impersonating a TunnelBear server. I performed multiple ‘DNS Leak’ tests at different DNS-Leak-Tracer websites and am delighted to say that I have experienced No DNS Leak ever during my tests. I show below here, for example, 4 images from my test results performed at www.dnsleaktest.com, www.perfect-privacy.com/dns-leaktest , ipleak.net and www.dnsleaktest.com. You see the images showed the result of ‘No DNS Leak’, as you only see United States & Belgium DNS IPs altered by TunnelBear; not the DNS IPs assigned to my local ISP. So, does TunnelBear client software has the capability to protect your local IP address from being leaked through WebRTC? In case you use ‘Google Chrome‘, you are recommended to add ‘WebRTC Control‘ extension to an updated Google Chrome to prevent ‘WebRTC IP Leak’ perfectly. Recently Tunnelbear has launched ‘Tunnelbear Blocker‘ Extension for Chrome browser user which I consider to be the best in the market. This extension includes ‘WebRTC Leak Blocker’ option which gives impressive result in preventing WebRTC IP leak. Kill-switch is an innovative feature to ensure data privacy and security of all users by disabling all internet activities when the VPN disconnects. To ensure complete protection, Tunnelbear added this ‘Kill Switch’ feature in the name of ‘VigilantBear‘ in their VPN software that disconnects all your internet activities if the VPN connection drops. It means when kill-switch is enabled and the connection interrupts, the client software automatically blocks all outgoing network connections so that your real IP is protected from being exposed. This is an optional feature so you can switch it on if you feel the need. Tunnelbear is here to provide security and anonymity to users. But, this tool only manages to protect the user’s privacy until it is connected. In most disconnection cases, users do not even realize that their VPN connections have stopped working. Cyber criminals and surveillance agencies stay on the lookout for these few unprotected moments to get into a system and compromise its security. Luckily, this will not be the case anymore with Tunnelbear users, because they have introduced this Kill Switch feature in its VPN Apps. Nowadays different websites, ISPs and Governments of different countries around the world are using DPI (Deep Packet Inspection) technology to spy on people’s online activities and control their access to the Internet. This DPI can only tell them that you are using encryption and that your packets are coming from a VPN server. However, It is not a magic wand that breaks encryption. And so far, despite pretending to do exactly that, not even the NSA has ever broken a single packet with or without DPI. To solve this DPI issue, Tunnelbear added an option ‘BearGhost’ to their software so that user can check this option in order to protect his VPN traffic from being traced and finally blocked by user’s ISP, governments or any websites that use DPI firewall. GhostBear uses a modern technology called Obfsproxy. When you turn GhostBear on, it changes your VPN traffic signature to look like a regular traffic (although still an encrypted VPN traffic) that isn’t normally traced by DPI. Obfsproxy alters a number of identifying features like how big a packet is or the order that they’re sent in. It can add or remove data to a packet by “padding” or “trimming” them into sizes that are less recognizable. Note: If VPN connection was detected, then it would say – ‘You are connected via generic tunnel or VPN and have made …. hops. Your connection type (generic tunnel or VPN) is rather uncommon for the average internet surfer, and could suggest proxy/VPN use’. Tunnelbear has added some amazing tools to its Blocker Extension for Chrome that ensures greater online privacy and security. It blockes Ad, Flash, Fingerprint, Gmail pixel tracking, Microphone, Social Buttons, WebRTC IP leak, F***F***Ad, Malware etc. Its tools also work together with TunnelBear VPN apps to add even greater privacy while browsing. It is absolutely Free, simple and handsome. This blocker is probably the best in the market to increase your online privacy. Tunnelbear has launched browser extensions for Chrome and Opera browsers for its both free and premium customers with ‘No additional charge’. Their fully featured trial also allows you to test the extension for Chrome and Opera browser. The Extension has been designed keeping the novice-user in mind. So, it becomes easy to use, with No complications. You can use this browser extension on Windows, Android, Mac, iOS or even Linux. TunnelBear, as a best VPN service provider, is seriously committed to client’s privacy. To ensure their users’ privacy they accept Bitcoin too beside other payment methods from their users to pay for their services. So, you can pay anonymously using only your email address. TunnelBear does NOT store users originating IP addresses when connected to our service and thus cannot identify users when provided IP addresses of our servers. Additionally, we cannot disclose information about the applications, services or websites our users consume while connected to our Services; as TunnelBear does NOT store this information”. This is why I personally consider Tunnelbear as the best anonymous VPN providers in industry that you can rely on. Many issues can contribute to sub-optimal performance (ISP, location, censorship, settings, etc). The TunnelBear team goes to exceptional lengths to satisfy users who experience sub-optimal performance or the occasional outage. However, TunnelBear does not offer financial reimbursement due to these issues. ‘Sorry, we don’t offer refunds‘. TunnelBear only offers email support and no live chat support. Their support team is available to help you 24x7x365. Contact them anytime, via Email, expert support team will come forward to solve your problems. Their support seems professional and friendly. They also provide a Knowledge-base `Help’ section for its clients where they try to explain some issues that may generally be raised.